The technology group Wärtsilä has recently been awarded a number of contracts to supply its Aquarius UV Ballast Water Management System (BWMS) to global shipping operators. The systems will enable the vessels to be compliant with the Ballast Water Management Convention regulations that entered into force in September 2017 for all new build vessels. The contracts cover in total 13 systems, the orders for which were all booked in quarter four 2018. The work is being carried out for ships being built at yards in China. The orders cover installations in a RoRo ferry, two RoPax, six tankers and four container vessels. In addition to the demand for new build vessel installations, ship owners are also increasingly requesting quotations for their existing sailing fleet. For a vessel to be compliant with the IMO’s Ballast Water Management Convention, owners have to install a BWMS at the next special survey of the vessel after 8 September 2019. This essentially gives a five year window for retrofits between September 2019 and September 2024, depending on when the special survey is due. The Wärtsilä Aquarius UV Ballast Water Management System. “This continued strong demand is a very positive verification of the efficiency, reliability, and robustness of the Wärtsilä Aquarius systems. Owners around the world recognise the fact that our BWMS solutions, which are backed by Wärtsilä’s extensive global service support network, provide assurance that their vessels can fully comply with the regulations, even with varying levels of water quality,” says Arto Lehtinen, Director, Water and Waste, Wärtsilä Marine. The Wärtsilä Aquarius UV (Ultra-Violet) BWMS has successfully completed all the required testing procedures and has been submitted for US Coastguard (USCG) Type Approval. This follows the International Maritime Organization’s (IMO) Type Approval for the Aquarius UV system, which was granted in 2012. The USCG approval process is extensive and involves both land and sea testing. 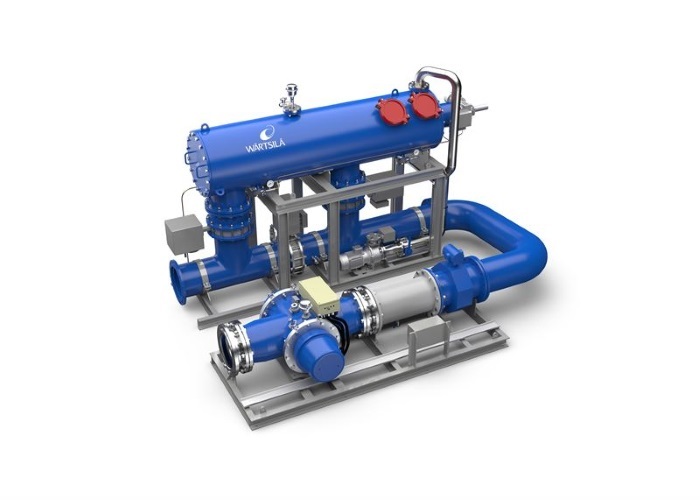 The company’s alternative BWMS technology, the Wärtsilä Aquarius EC (Electro-Chlorination), was granted USCG Type Approval in August 2018, and IMO Type Approval in 2013. The Ballast Water Management Convention aims at preventing the spread of harmful aquatic organisms from one region to another, and at halting damage to the marine environment from ballast water discharge.